Yes, I’m still working on SAF stuff. Those pesky, adorable children of mine keep demanding things like food and attention, and in doing so distract me from finishing my SAF projects. The “make it work” challenge intrigued me. I am lucky in that most of the ideas that I have don’t end in my throwing the card away. Even if the card doesn’t end up exactly as I initially planned, I can still make it do that I’m not embarrassed by it. 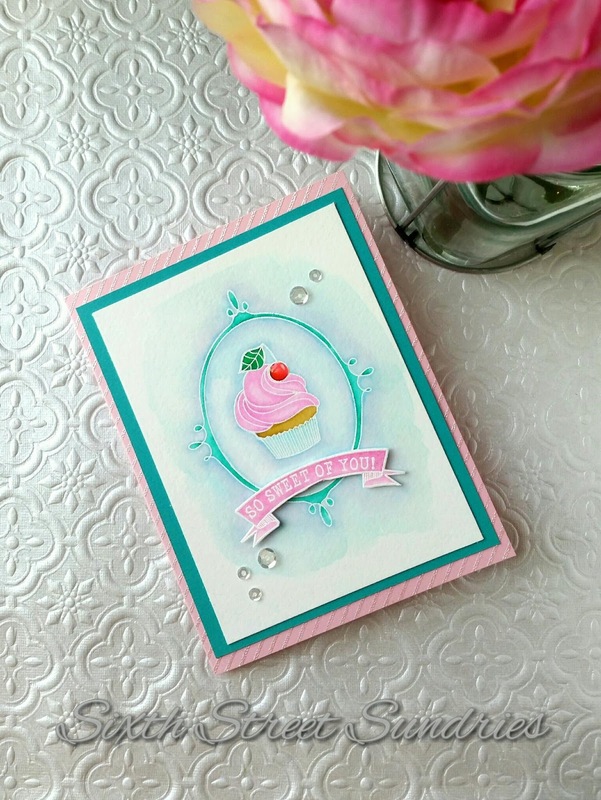 I peeked the start of this card on Instagram a few months ago; the cupcake watercoloring started out really well. Then I had the brilliant idea to turn it into a shaker, but I wanted ombré polka dots…. That’s where we ran into trouble. Problem was that I didn’t realize quite how horrible it would be until after I put the entire thing together. 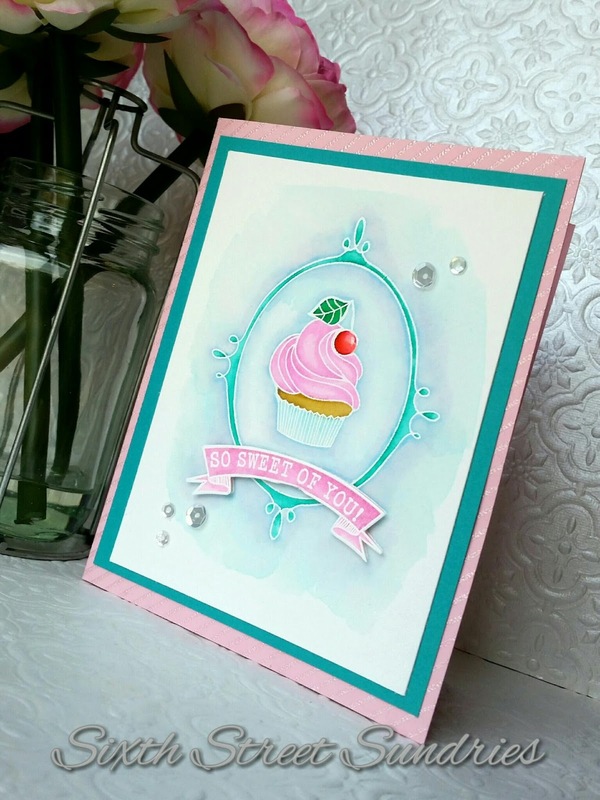 So, this is my watercolored cupcake reboot. 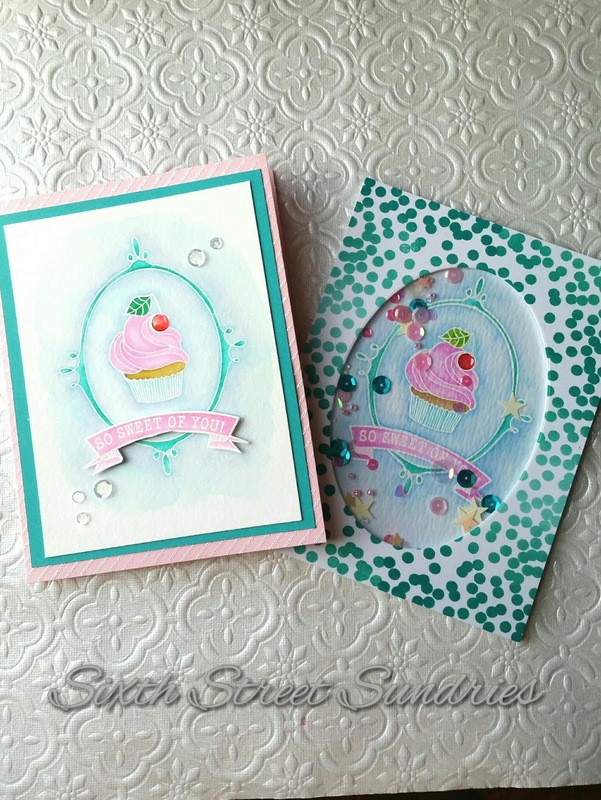 I used the same colors and white embossing powder for the stamps from Baker’s Dozen, but instead of detracting from the watercoloring and adorable image by turning it into a shaker, I decided to keep it simple and adorn it with some Glossy Accents and a few sequins. I’m still not entirely pleased with it, because I messed up fussy cutting the banner. But, I’d already refine the banner three times, and the minions had awoken from their nap at that point, so it was either redo it and have to take photos in the dark tonight after bedtime or just live with it. Obviously, I chose the latter. I have plans to complete one more challenge after the kiddos go to bed tonight, so hopefully I will return in a few hours. I apologize in advance for the poor lighting in the photos.